Marcelo Perez writes How Can We Help? The Kansas City Federal Reserve posted the Twitter comment and graph below highlighting a very important economic theme. Although productivity is a basic building block of economic analysis, it is one that few economists and even fewer investors seem to appreciate. The Kansas City Fed’s tweet is 100% correct in that wages are stagnating in large part due to low productivity growth. As the second chart shows, it is not only wages. The post financial-crisis economic expansion, despite being within months of a record for duration, is by far the weakest since WWII. Productivity growth over the last 350+ years is what allowed America to grow from a colonial outpost into the world’s largest and most prosperous economic power. Productivity is the chief long-term driver of corporate profitability and economic growth. Productivity drives investment returns whether we recognize it or not. Despite its foundational importance to the economy, productivity is not well understood. There is no greater proof than the hordes of Ivy League trained PhD’s at the Federal Reserve who have promoted extremely easy monetary policy for decades. It is this policy which has sacrificed productivity at the altar of consumption and short-term economic gains. For more on the interaction between monetary policy and economic growth please read Wicksell’s Elegant Model. Economic growth is a direct function of productivity which measures the amount of leverage an economy can generate from its two primary inputs, labor and capital. Without productivity, an economy is solely reliant on the two inputs. Due to the limited nature of both labor and capital, they cannot be depended upon to produce durable economic growth over long periods of time. Leveraging labor and capital, or becoming more productive, provides the dynamism to an economy. Unfortunately, productivity requires work, time, and sacrifice. It’s a function of countless factors including innovation, education, government policies, and financial incentives. Labor, or human capital, is largely a function of the demographic makeup of an economy and its employees’ skillset and knowledge base. In the short run, increasing labor productivity is difficult. Realizing changes to skills training and education take time but they do have meaningful effect. Similarly, changes in birth rate patterns require decades to influence an economy. Within the labor force, the biggest trend affecting current and future economic activity, both domestic and globally, is the so called “silver tsunami”, or the aging of the baby boomers. This outsized cohort of the population, ages 55 to 73 are beginning to retire at ever greater rates. As this occurs, they tend to consume less, rely more on financial support from the rest of the population, and withdraw valuable skills and knowledge from the workforce. The vast number of people in this demographic cohort makes this occurrence more economically damaging than usual. As an example, the old age dependency ratio, which measures the ratio of people aged greater than 65 to the working population ages 18-64, is expected to nearly double by the year 2035 (Census Bureau). While the implications of changes in demographics and the workforce composition are numerous, they only require one vital point of emphasis: the significant economic contributions attributable to the baby boomers from the last 30+ years will diminish from here forward. As they contribute less, they will also require a higher allotment of financial support, becoming more dependent on younger workers. Finally, immigration is also an important component in the labor force equation. Changes in immigration policies and laws are easier to amend to foster more immediate growth but political dynamics argue that pro-immigration policies and laws are not likely within the next few years. Capital includes natural, man-made and financial resources. Over the past 30+ years, the U.S. economy benefited from significant capital growth, in particular debt. The growth in debt outstanding, a big component of capital, is shown broken out by sector in the graph below. The increase is stark when compared to the relatively modest level of economic activity that accompanied it (black line). The graph below plots a simple index we created based on total factor productivity (TFP) versus the ten year average growth rate of TFP. The TFP index line is separated into green and red segments to highlight that change in the trend of productivity growth rate that occurred in the early 1970’s. The green dotted line extrapolates the trend of the pre-1972 era forward. The graph below plots 10 year average productivity growth (black line) against the ratio of total U.S. credit outstanding to GDP (green line). Government deficit spending is sold to the public as economically beneficial. However, the simple fact that government debt as a ratio of GDP has continually grown, tells you this is a lie. Further, there is not just a financial cost to running deficits but an opportunity cost that is underappreciated or ignored altogether. The capital misallocated towards the government was not employed for ventures that may have resulted in economically beneficial productivity gains. The government is not solely to blame. 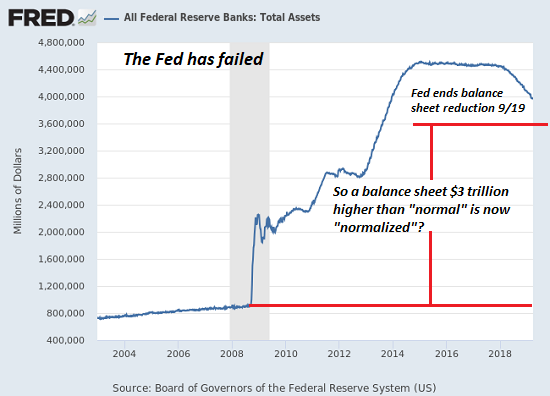 The Federal Reserve has used monetary policy to prod economic growth and deprive the economy of full economic recessions that clean up mal-investment. They have bailed out the largest enablers of unproductive debt. Their policies encourage public and private debt expansion, much of which has been unproductive as shown in this article. We the people, also play a role. We drive bigger cars and live in bigger houses for example. We tend to spend more lavishly than generations past. Too much of this unproductive consumption is done with borrowed money and not savings. While these luxuries are nice, the economic benefits are very short-term in nature and come at the expense of the long-term benefits of more productive investment. Given the finite ability to service debt outstanding and aforementioned demographic challenges, future economic growth, if we are to have it, will need to be based largely on gains in productivity. 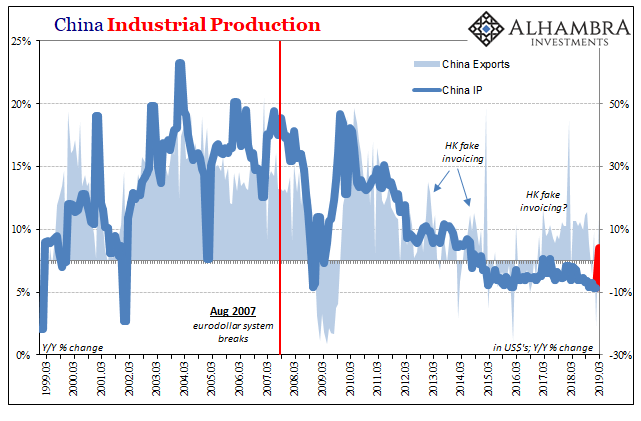 Current economic circumstances serve as both a wet blanket on economic growth and are clearly weighing on productivity by diverting capital away from productive uses in order to service that debt. Ill-conceived policies that impose an over-reliance on debt and demographics have largely run their course. The change required will be neither easy nor painless but it is necessary. Policy-makers will either need to become immediately responsive and take action to address these issues or discipline will be imposed by other involuntary means. This is not just an economics story. Importantly, as investors in assets whose value and cash flows are dependent on these economic forces, we urge caution when the valuation of those assets is high as it is today amid such a challenging economic backdrop. Co-Founder 720 Global. Strategic Expertise: Macro-Econ, Asset Alloc, Valuation, Risk Mgt. Next Is The Junk Bond Sell-Off Over?